You probably hear about the en primeur each year in the spring. And no doubt you know a little bit about what this expression means. To find out everything you need to know on the subject, read on! To begin with, it’s important to understand the difference between the vins primeurs sales and the vins en primeurs sales. 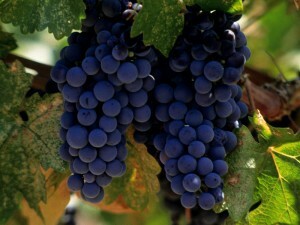 The first term refers to wines released for sale before the spring after harvesting. With Beaujolais Nouveau for example, the term « Nouveau” means the wine has been bottled before the next harvest. In this case, it is released for sale on the third Thursday in November following the harvest. The second term, and the one we’re discussing here, refers to the typical and highly specific sales system in Bordeaux. Here, wines are sold in the spring after harvesting, while they are still maturing in barrel. This is a bit like a reservation system as the wine will only be available some months later, after maturing and bottling. Where does the En Primeur tradition come from? The Bordeaux en primeur system dates back to the 18th Century, when the Bordeaux merchants would visit the châteaux a few months before the harvest to value and buy the grapes off the vine. In general, the merchants also matured and/or bottled the wines themselves. The modern day system, as we know it today – and including the much vaunted en primeur tasting week – was introduced in the 1970s. It became an institution in the early 1980s, spearheaded by Baron Philippe de Rothschild who organised a tasting of his 1982 vintage in April while it was still maturing in barrel. This tasting was reported widely in the press. Baron Philippe de Rothschild had been breaking the mould since 1924 when he started bottling his wines on the premises, mainly to assert his position in the face of the all-powerful Bordeaux wine merchants at that time. Since the 1970s, the practice of selling en primeur has meant that merchants buy wine and pay the producers about two years before the wines go on the market. One advantage is that merchants can « reserve » a number of bottles at more favourable prices than the rates for ready bottled wines. Another advantage, this time for wine producers, is that they can generate cash flow, which is useful for financing the next harvest and maturing wines before releasing them on the market. What is the en primeur system? How does it work? 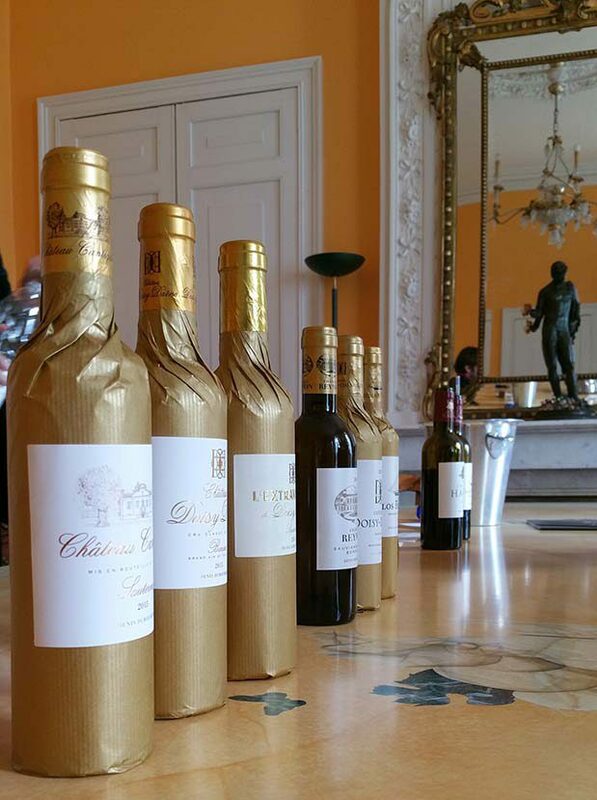 The en primeur, or futures, system is a Bordeaux institution, organised around En Primeur tasting week. In the Gironde region this is a calendar highlight – almost like a fashion week for wine as it attracts anyone who is anyone in the industry. 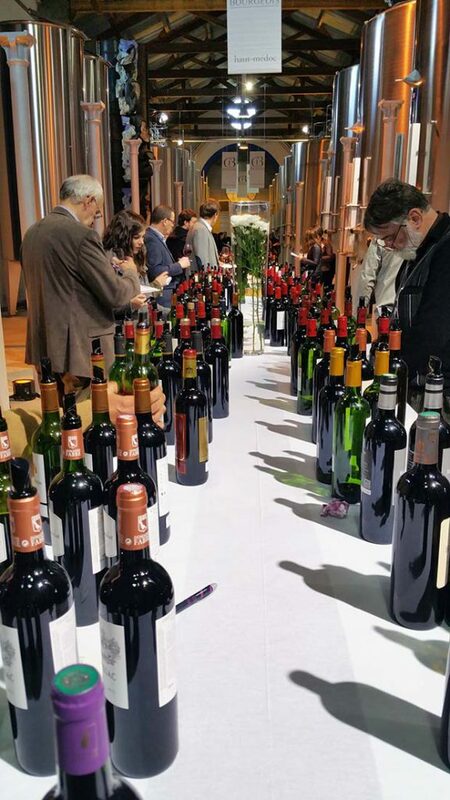 Backed by the Union des Grands Crus de Bordeaux and various wine producers’ groups, En Primeur Week brings together wine professionals from all over the world to taste the latest vintages from a good one hundred estates. Buyers, négociants and the press attend endless tastings. 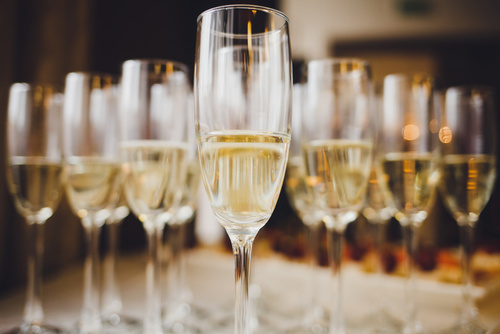 Events are held either by appellation specific groups at various venues, directly at the wine chateaux, or, for the most prestigious names, by appointment. The purpose is to assess the quality of the vintage to plan how much to buy. The press and top wine critics have an important role to play here. The scores they give the wines are eagerly awaited and will be decisive thereafter. Until the well-known critic Robert Parker withdrew his name and handed over his rating duties (in 2014), Parker points were highly anticipated and traditionally set the definitive trend for a vintage. A score of 100 / 100 Parker points (or failing that at least more than 90/100) meant a producer was guaranteed rapid sales at the best possible price. Today, the market is not as influenced by a single verdict, and this is good news. 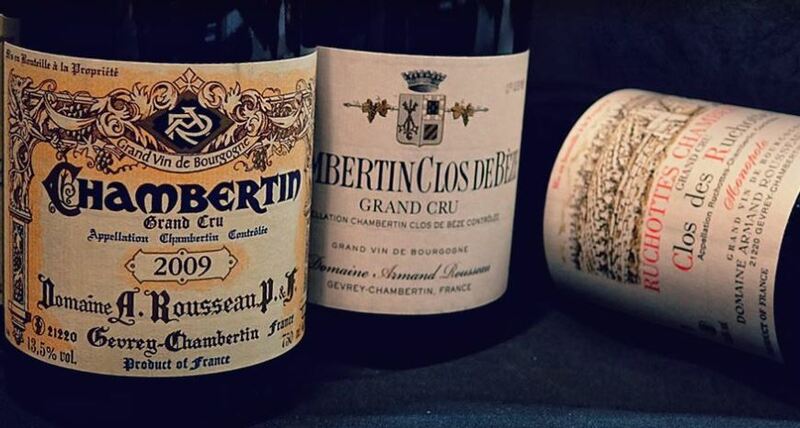 As consensus gradually builds among the main critics, the top tier in each vintage becomes clear. After en primeur week, the press and top critics write up their assessments per appellation and property and their verdict (and scores) on different wines. Châteaux generally wait until after media coverage of scores has passed to release their wines, en primeur, at a price that takes account of the score and ensuing demand. Properties publish their prices one after another, generally within two months of the tastings. Every en primeur campaign has its surprises. Sometimes, the first to put its head above the parapet is a premier cru classé – Château Lafite has taken on the role of forerunner – sending a strong signal to the rest of the campaign. This year, for the 2016 vintage, Château Guiraud was the first to reveal its prices. This is a way to turn the spotlight on an appellation currently suffering from a loss of interest in sweet white wines. Château Pontet Canet took a similar tack with its 2013 (a delicate vintage), which was released en primeur before the verdict of the official tastings was published. The courtier, or broker, plays a decisive role in setting en primeur prices. Courtiers act as intermediaries between the wine producers and the négociants, advising estates on appropriate prices, negotiating between the parties and completing the transaction. They receive a commission of 2% on the total of each transaction. Courtiers are another traditional feature of the Bordeaux system. Their role goes back several centuries even though there are no laws insisting on the employment of such intermediaries. They are part of the highly codified and customary environment (some would say archaic) of the Place de Bordeaux system. Once the transactions have been completed, the wines are left to finish maturing at the property until it is time to bottle them. They are generally released between 18 and 24 months after the en primeur sales, sometimes longer for Sauternes or premiers crus classés. 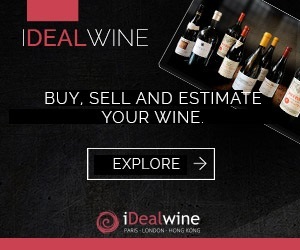 Authorised négociants (who have been allocated wines by producers) then step in to sell the wines to different stakeholders in the distribution chain (wine merchants, restaurants, e-commerce sites, etc). Who takes part in the en primeur sales? Traditionally, only the grands crus classés took part in the en primeur system. Today however the majority of quality producers are involved, regardless of classification. For a few years now though, some estates have been turning their backs on selling en primeur through the Place de Bordeaux system. The world famous Château Latour for example, withdrew from the system in 2012 and now only makes its wines available on the market when they are ready to drink. It’s easy to guess that one of the key motivations for this withdrawal is to regain control of release prices and to hang on to the profit margins they were losing out on to the trade. To illustrate, a Château Latour 2008 was released en primeur at €150 (€180 including tax). In 2011, it was selling at more than €800 (iDealwine auction estimate). An estate with Château Latour’s reputation can of course afford to handle its own distribution. The majority of crus classés however, rely on the influence of the promotional network offered by the Union des Grands Crus Classés de Bordeaux. Why is the en primeur system criticised? The en primeur system has been coming under attack for a number of years, fuelling the Bordeaux bashing that has affected the whole region. Increasing speculation involving some 40 properties has focused the criticism. Analysis of en primeur release prices from some estates highlights a phenomenal surge in prices since the 1990 and, above all, 2005 vintages. For many wine lovers – especially in France – prices of Bordeaux grands crus classés have reached such heights that they are no longer accessible. The finger is often pointed at international wine critics, Robert Parker in particular (Wine Advocate), for their role in focusing attention on the highest scoring estates. Without a doubt, Parker helped raise the profile of Bordeaux wines all over the world. However he is also thought to be one of the reasons for soaring prices at some properties. There are also more serious concerns about changes to the style of wines to win the favour of the renowned critic. 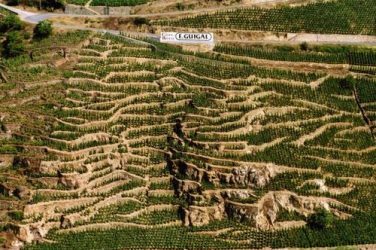 Expanding international distribution of grands crus, and the opening of new markets, such as Asia, have also pushed prices up, especially as some years have seen successive “vintages of the century”. This was especially the case in 2009 and 2010, and the situation could be repeated with the 2015 and 2016 vintages. Another criticism stems from the challenge of tasting samples. Very few critics can genuinely give a legitimate opinion about the potential of an en primeur wine. This is even more of a problem because the samples tasted in the April after the harvest are fragile and can vary from day to day. There is some debate about the quality of samples, selected from the best days of course. Are they really representative of what the final product will become? Either way, scores awarded very early to wines that are still maturing have a lasting influence on the success of that wine on the market. For all this, and in spite of these criticisms, the en primeur system lives on, supported by a unique organisational structure. It is a real force to be reckoned with when it comes to promoting Bordeaux grands crus internationally. And it is still followed closely by wine lovers around the world. Are there en primeur systems in other regions? En primeur Week remains closely associated with the Place de Bordeaux system, but similar arrangements could be introduced for some estates in other regions. Burgundy and the Rhône Valley (Chateauneuf du Pape) are especially interested, as are some producers in Alsace (Domaine Deiss) and Roussillon (Clos des Fées). And when will the 2016 en primeurs be released? Climatically speaking, after a disastrous spring, marked by depressing rainfall levels, the 2016 crop enjoyed near perfect conditions from flowering season through to harvest time. It was a very dry summer (just 7mm of rain from mid- July to September 12th in Bordeaux), with just a few beneficial drops of rain in the middle of September followed by more superb weather in September and October. This provided considerable freedom when it came to choosing the date and length of the harvest period. At the moment, talk about the tastings is extremely positive. Some critics, such as Jean-Marc Quarin, have been quick to compare this new vintage with nothing less than 1982. He has showered praise on 2016: « There is something genius, unusual and inexplicable about this vintage. A fabulous and very rare combination, with the perfect balance between a fantastic quality of tannin, moderate alcohol degrees and sustained but subtle acidity.” According to his website. « The red wines are dense, very fragrant, rich, and full, with a soft touch on the palate, velvety and a great depth of flavours. Everything is so flavourful, such bright fruit, such a refined tannin grain, with such a strong note of pleasure that 2016 will make wines from 2010, which I love, seem rustic. » Renowned critic James Suckling’s first impressions are also very positive, with a score at least equal to 2015, if not better. This is enough to make all our mouths water while we await En Primeur Week. And we promise to report back to you, accurately and faithfully about this new, much awaited vintage. Wine is not solely a man’s prerogative! 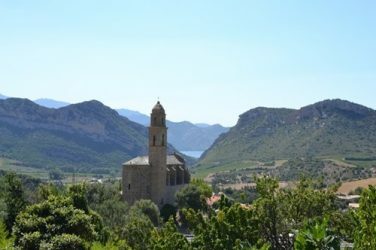 Three iDealwine ladies tell us about their discoveries this summer, in Corsica, Ardèche and Alsace. Our highlight: meeting the Deiss family.